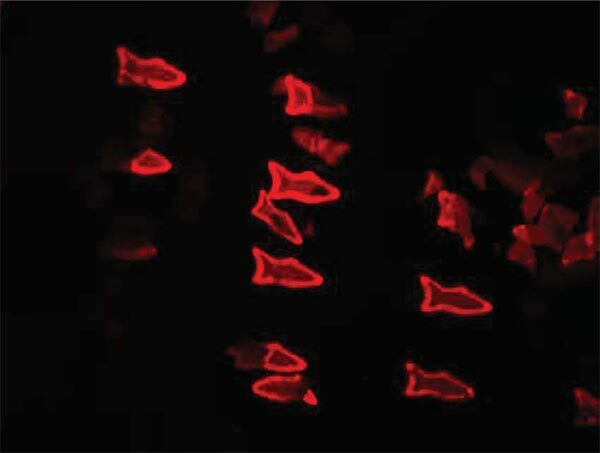 Nanoengineers at the University of California, San Diego used an innovative 3D printing technology they developed to manufacture multipurpose fish-shaped microrobots — called microfish — that swim around efficiently in liquids, are chemically powered by hydrogen peroxide and magnetically controlled. 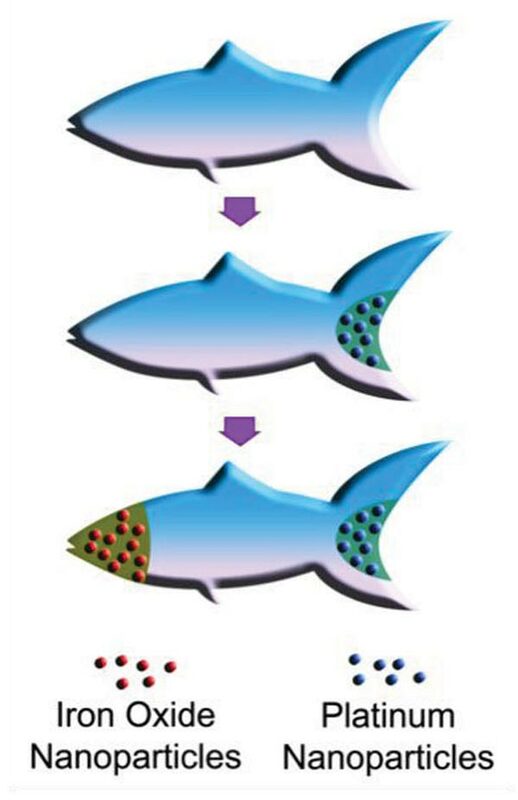 These proof-of-concept synthetic microfish will inspire a new generation of “smart” microrobots that have diverse capabilities such as detoxification, sensing and directed drug delivery, researchers said. 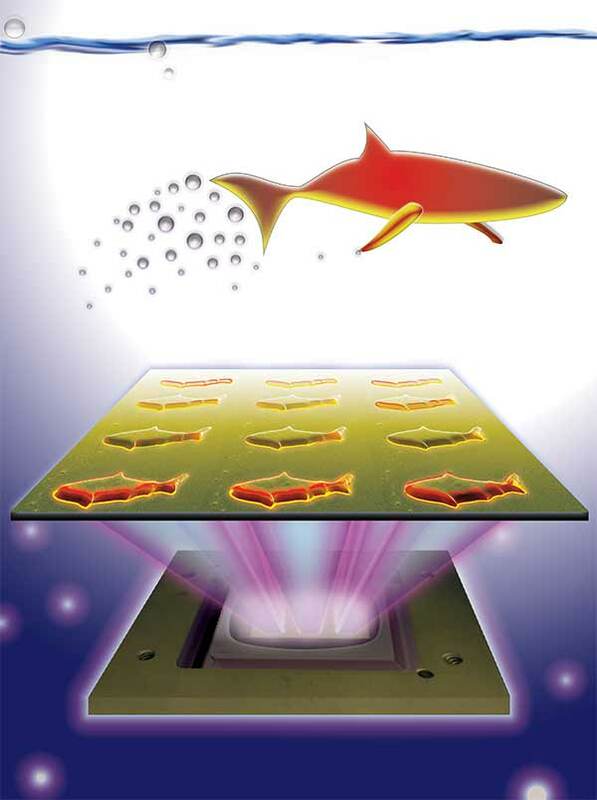 The technique used to fabricate the microfish provides numerous improvements over other methods traditionally employed to create microrobots with various locomotion mechanisms, such as microjet engines, microdrillers and microrockets. Most of these microrobots are incapable of performing more sophisticated tasks because they feature simple designs — such as spherical or cylindrical structures — and are made of homogeneous inorganic materials. In this new study, researchers demonstrated a simple way to create more complex microrobots. The research, led by Professors Shaochen Chen and Joseph Wang of the NanoEngineering Department at the UC San Diego.